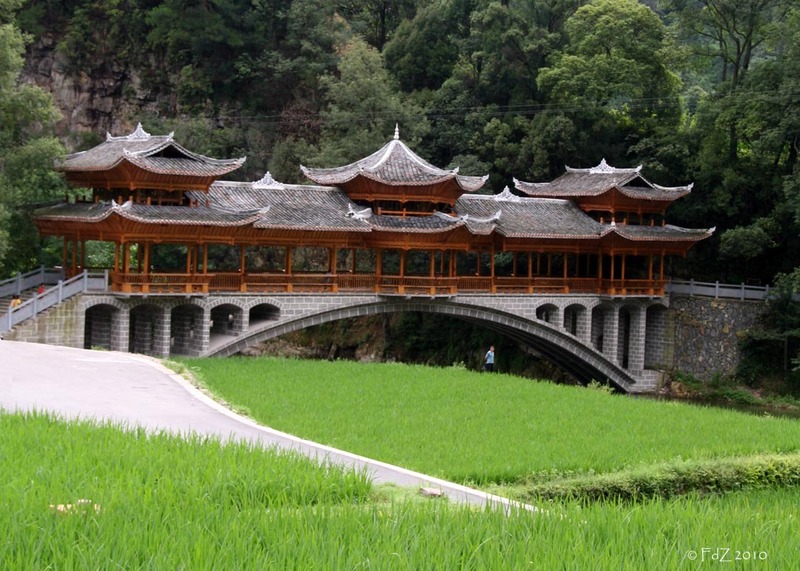 It is a pure wooden architecture made up of pillars, purlins and balusters of different sizes and shapes. 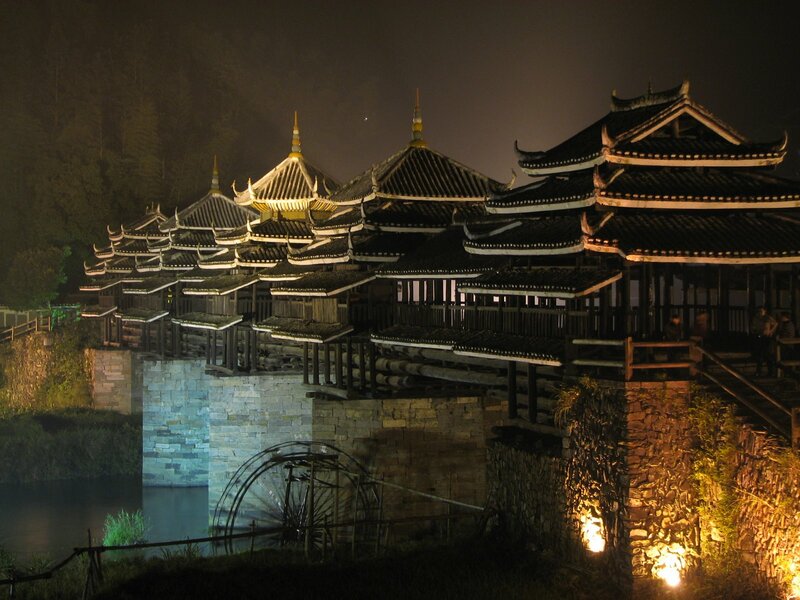 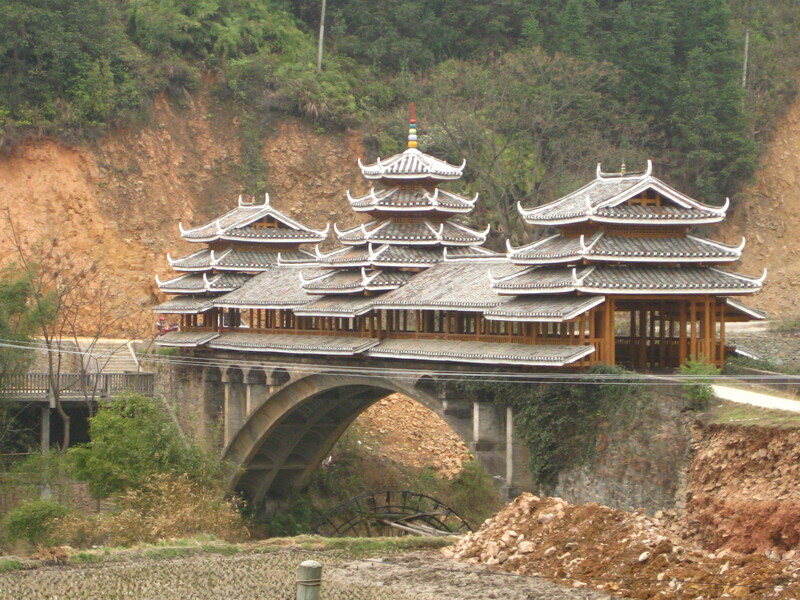 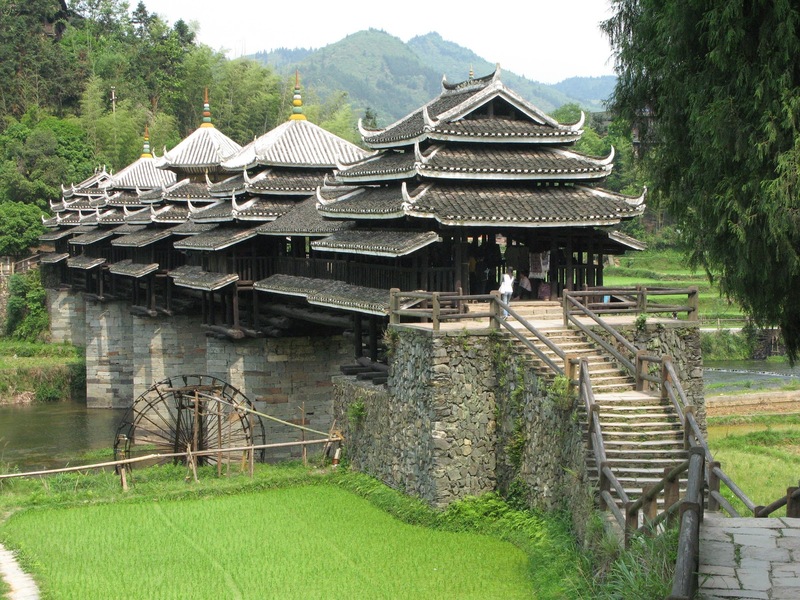 The body of the bridge is divided to three tiers, the largest one in the middle take the shape of a traditional Chinese drum tower. The pilasters and eaves of the bridge are engraved with flowers and patterns and are quite magnificent.